For over 9 years, we have passionately pursued one goal at Boutique Me: Personalized Gifts. Let's face it, in the South particularly, we love our name, monogram, moniker, team name, initials, last name or any words that truly describe us on everything from our Drink Koozie to our Wedding Aisle Runner. That's what we mean by 'Personally Designed'. If it isn't monogrammed, is it really even yours? Probably but plain isn't fun! We want to help you design and create special, unique & memorable gifts. The Southern Charm of Monogrammed Gifts has spread nationwide, even world wide, and we are so pleased that you have decided to shop with us for your custom, personalized gifts. We have it all --- Custom Otterbox Phone Cases to protect your most trusted device, Monogrammed Koozies to keep your drink cold & stylish, Personalized Melamine Platters to serve holiday meals to your family, Monogram Jewelry to accessorize any outfit, or just a little special gift to show a teacher, friend or coworker that you're thinking of them. That's what it's all about, giving a custom, personalized gift to the special people in your life. We sincerely hope that our extensive selection of custom gifts, great prices & charming customer service will keep you smiling & coming back for gift after gift. 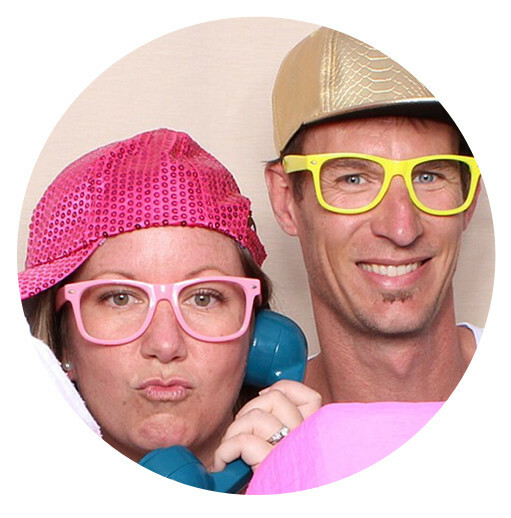 Meet Justin & Melissa Elders - Printing Guru & Chief Monogram Officer and husband/wife duo that founded Boutique Me in 2008. We love what we do and we hope it shows in each of our custom products. Each product we offer goes through one of our hands - or both - and we strive to create products and designs that you'll love. While we sell hundreds of thousands of custom gifts each year, we keep our small business small so that you get custom, personalized quality and service - nothing around here is mass produced or made overseas....we personally design each product right here in the US, specifically in Destin, Florida. When we aren't working (and even when we are!) we love to spend time on the beautiful beaches of Florida and with our three amazing kiddos. We hope you love shopping with us & if you ever have any questions about our products or service, drop us a message any time.